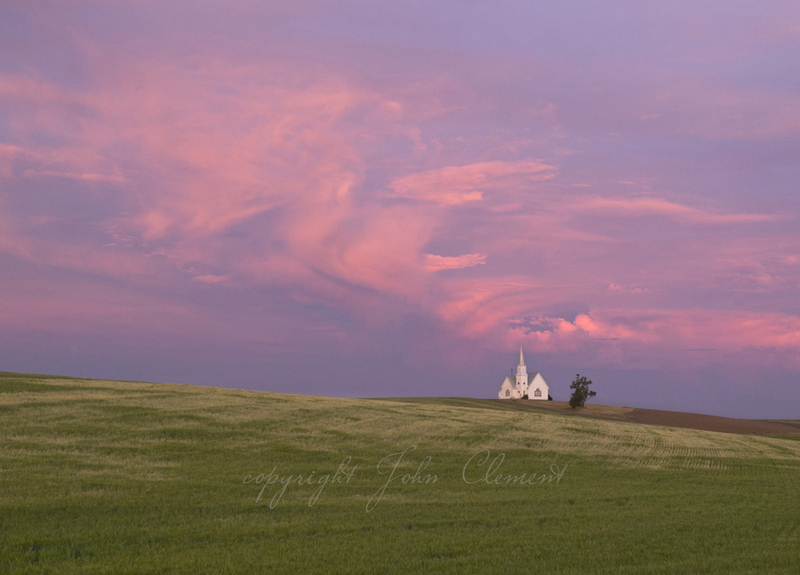 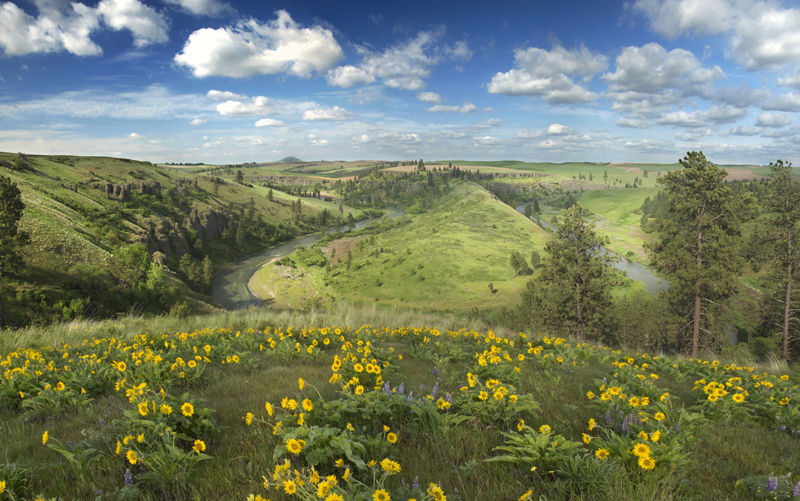 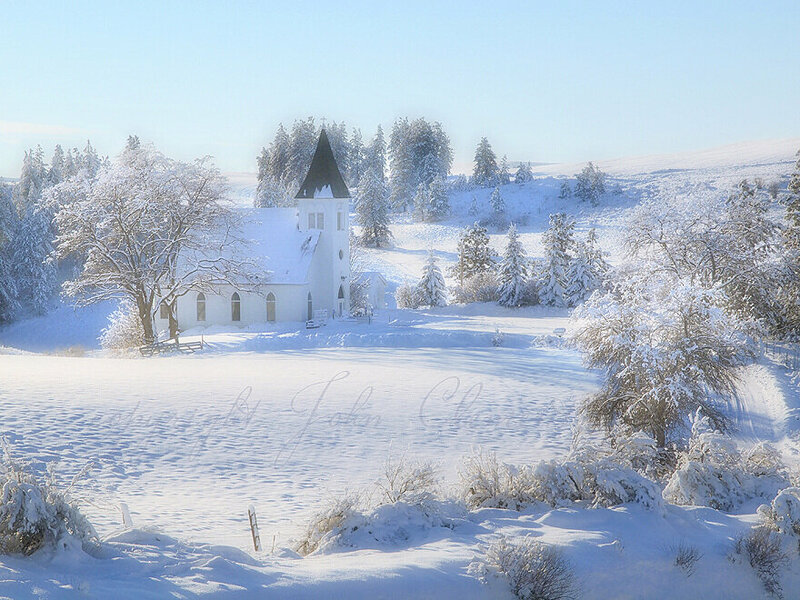 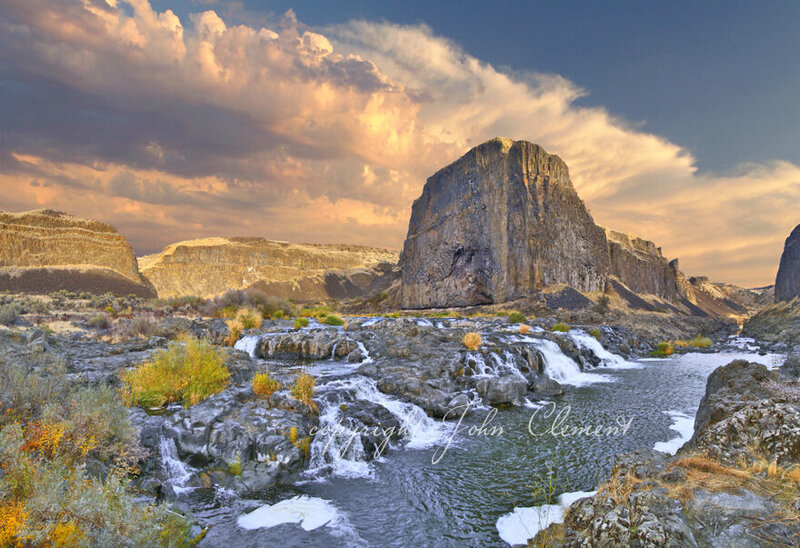 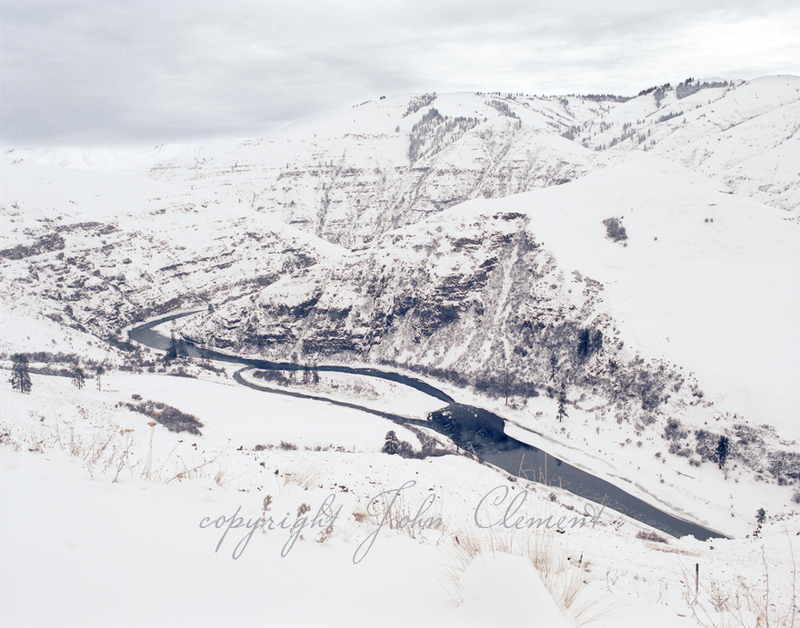 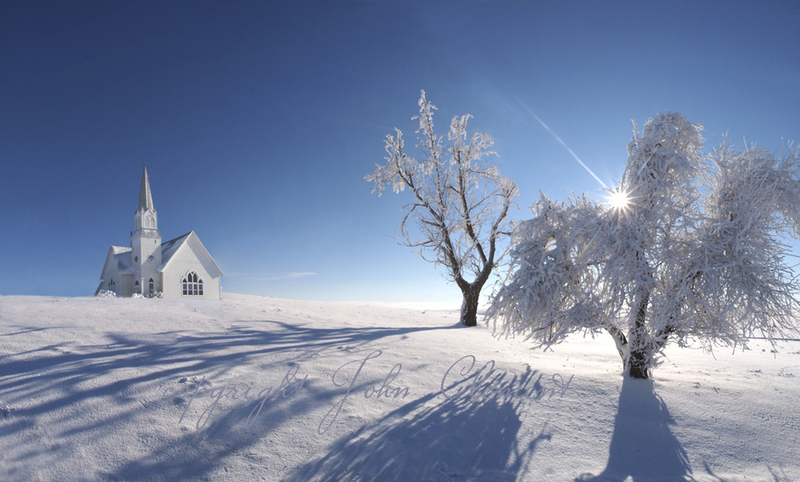 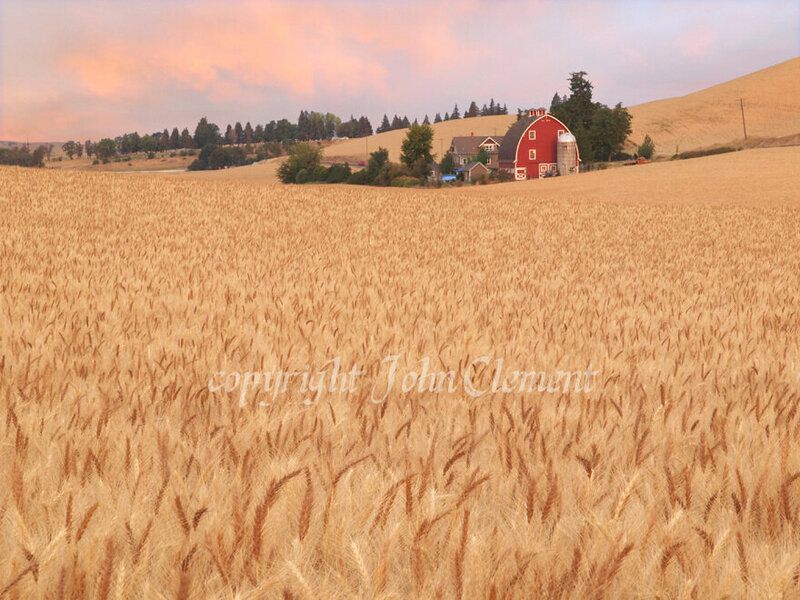 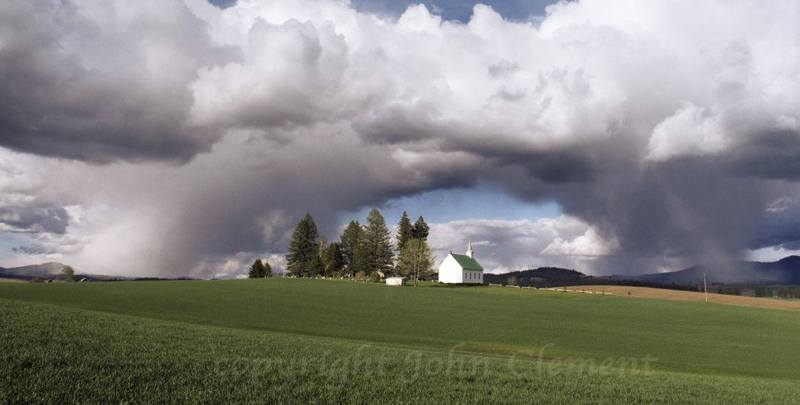 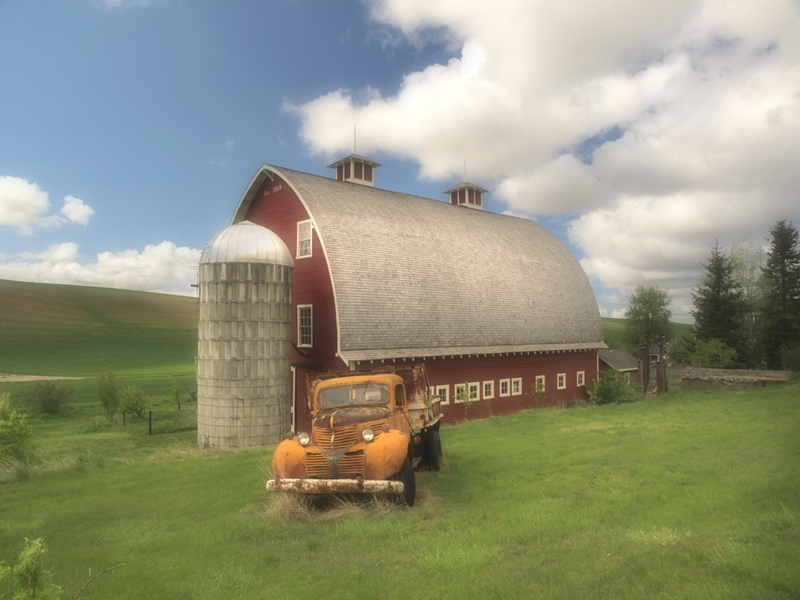 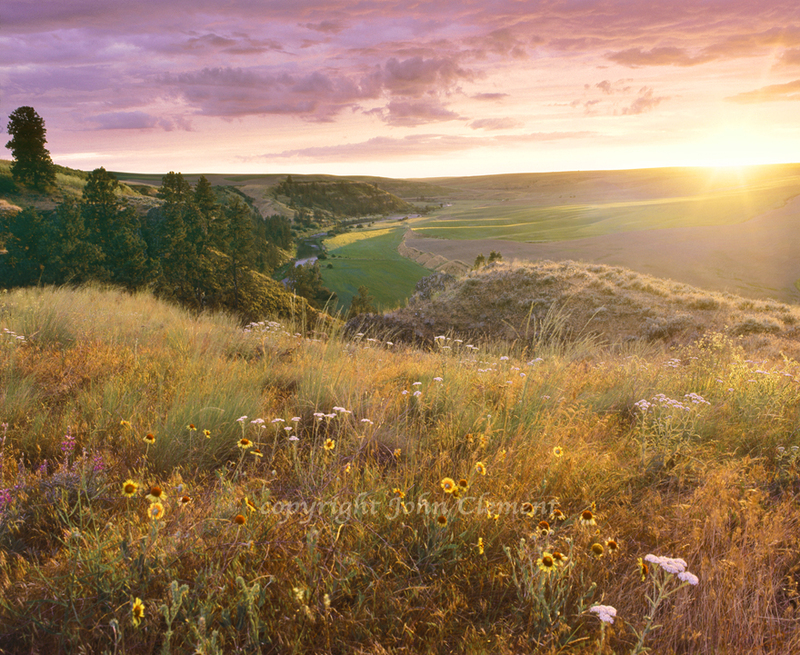 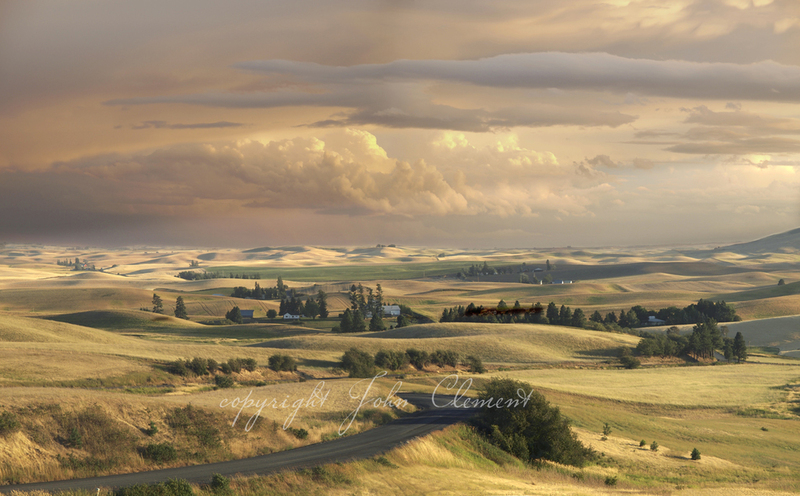 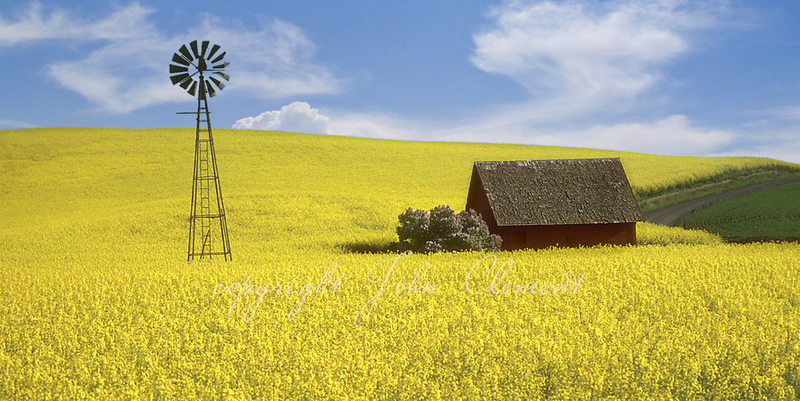 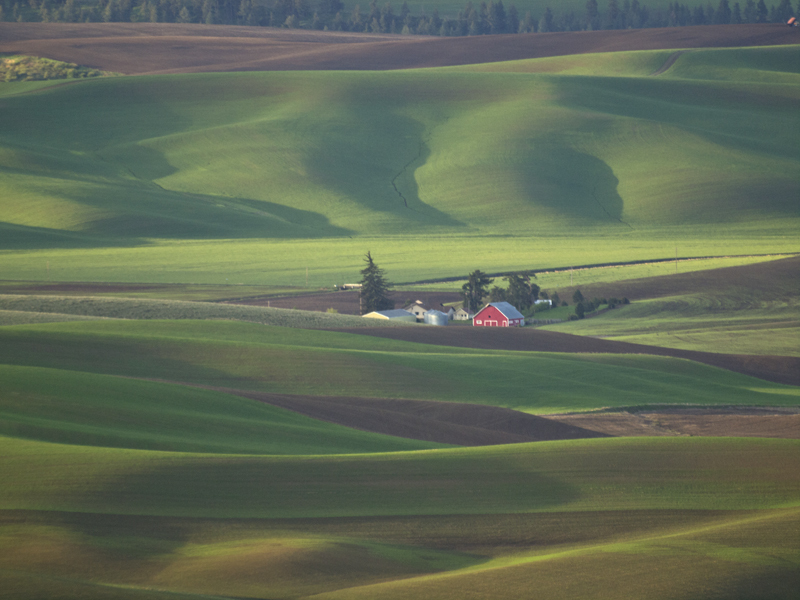 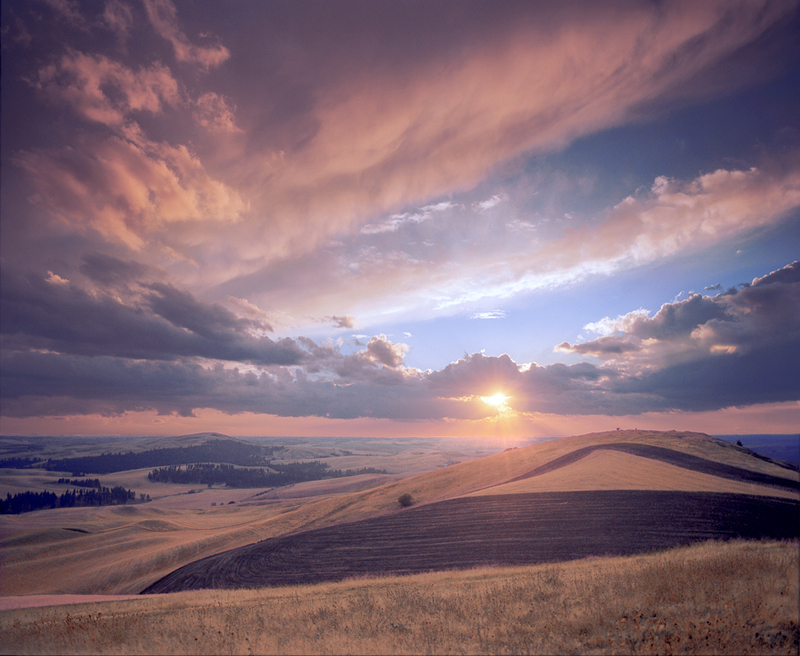 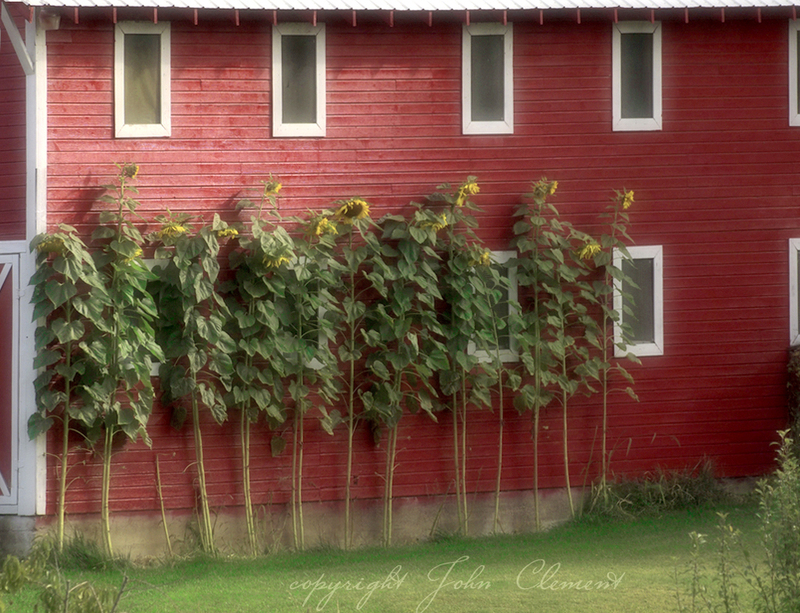 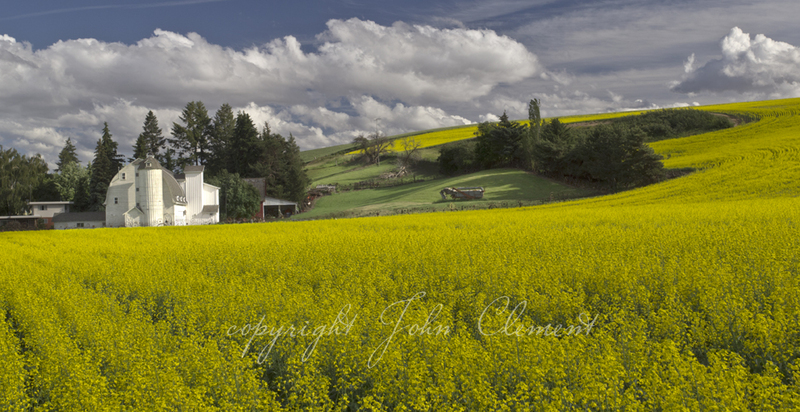 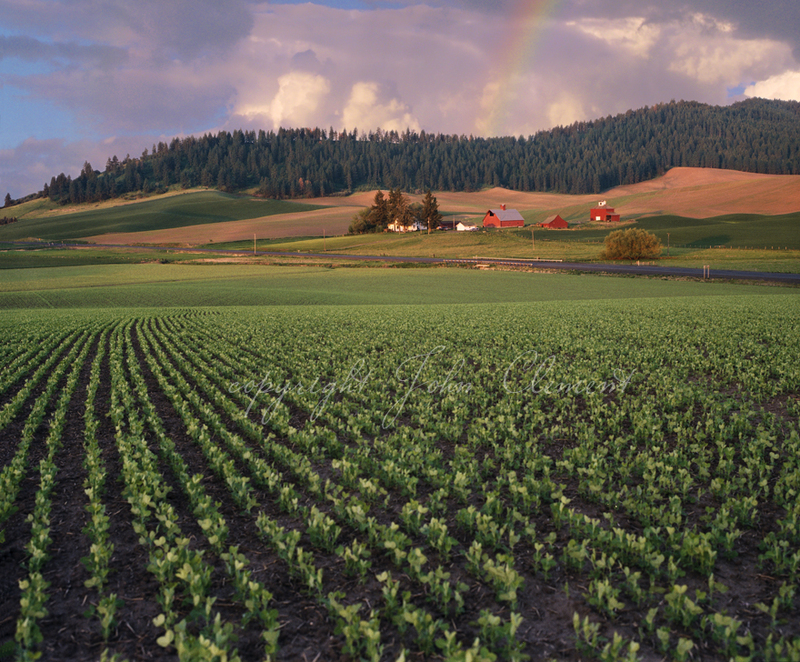 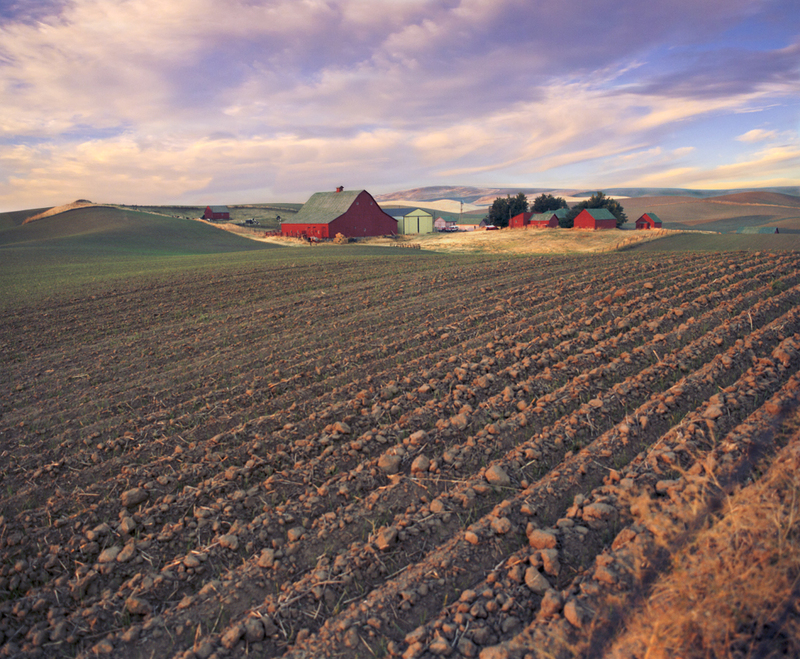 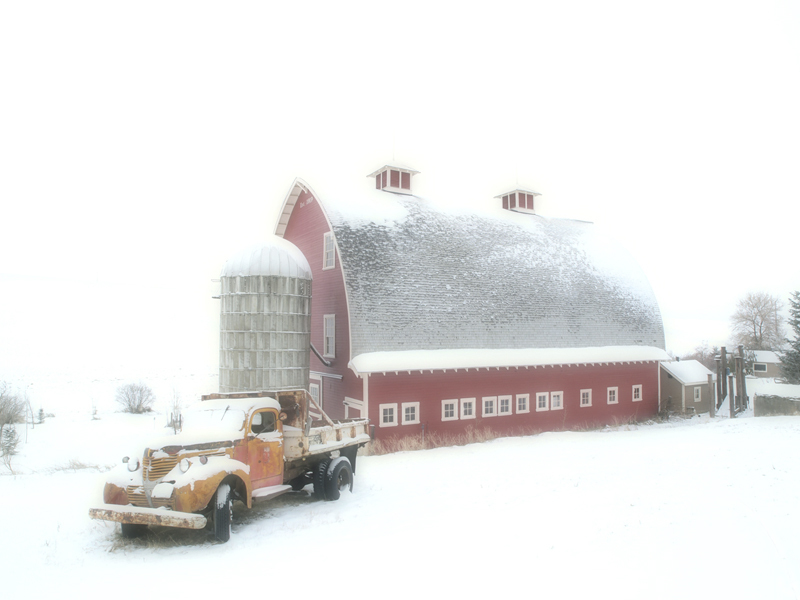 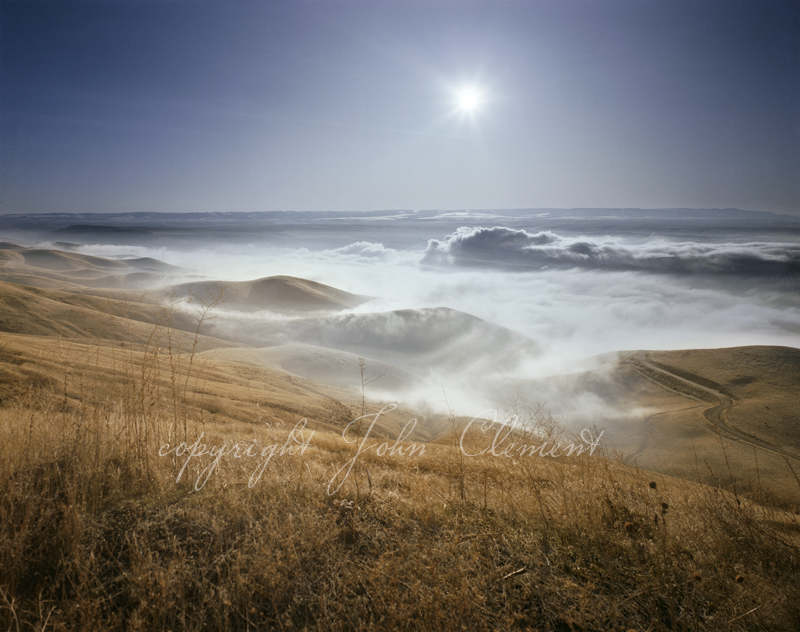 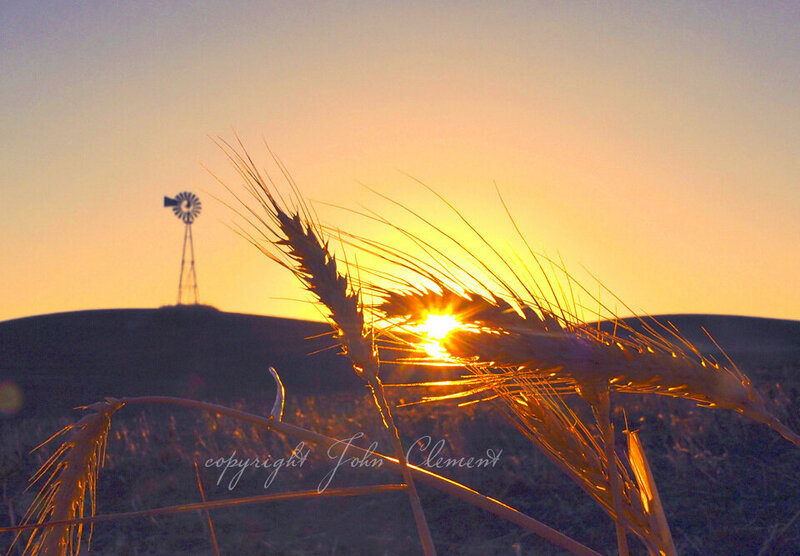 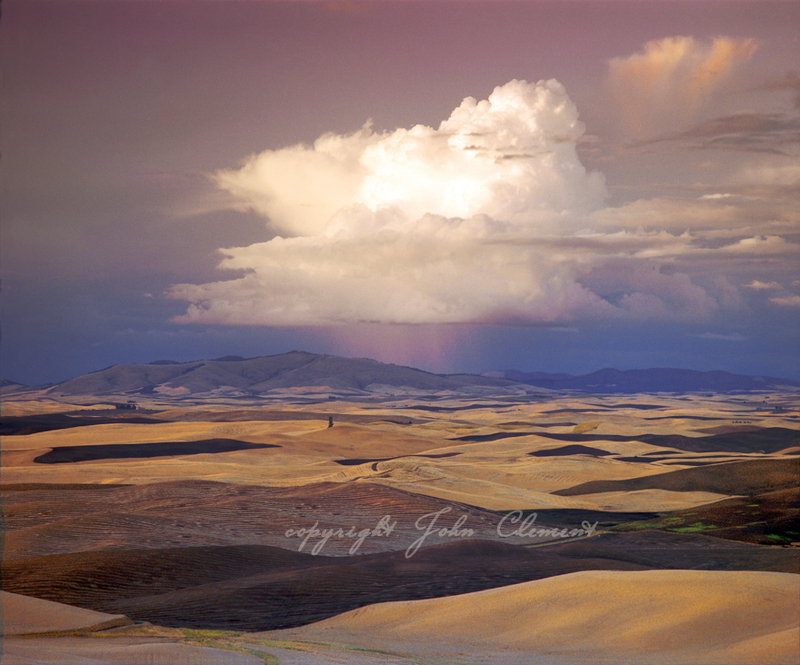 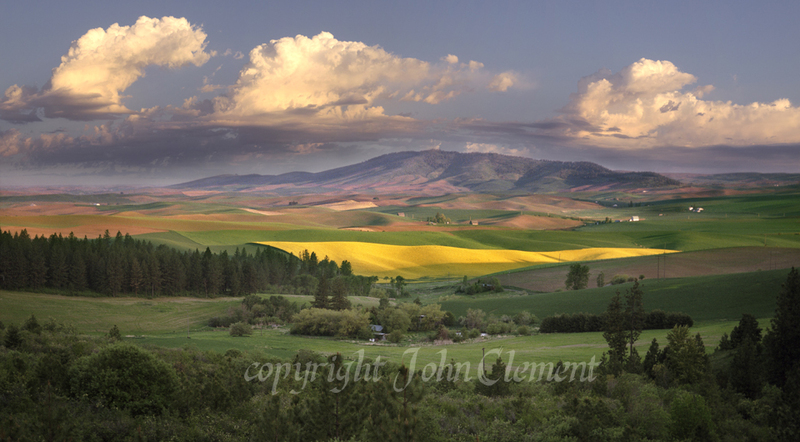 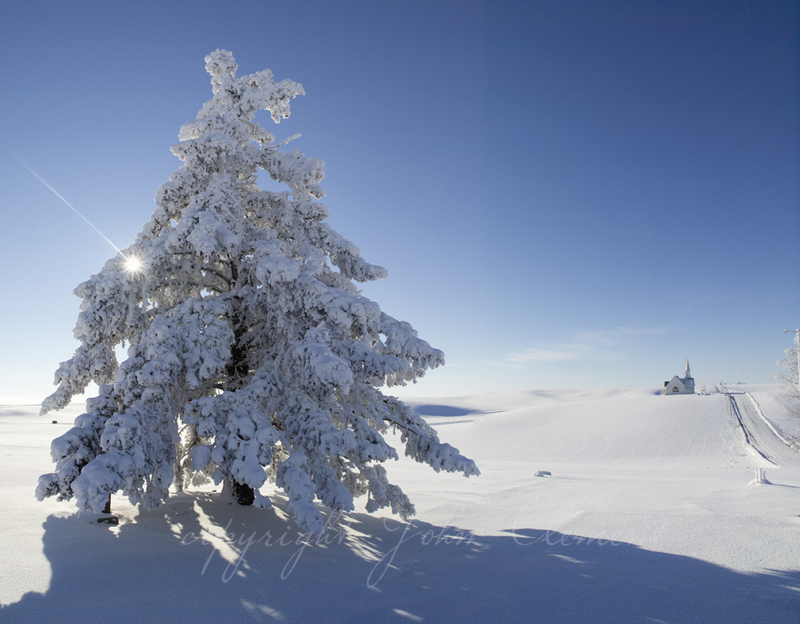 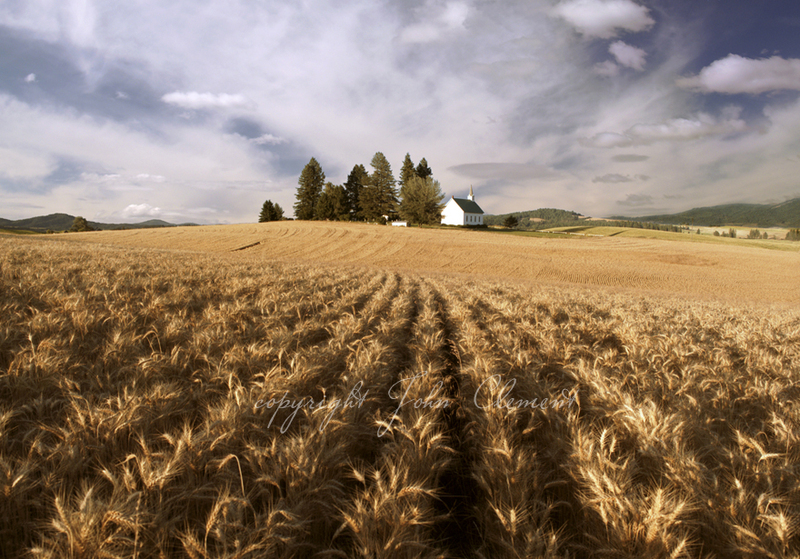 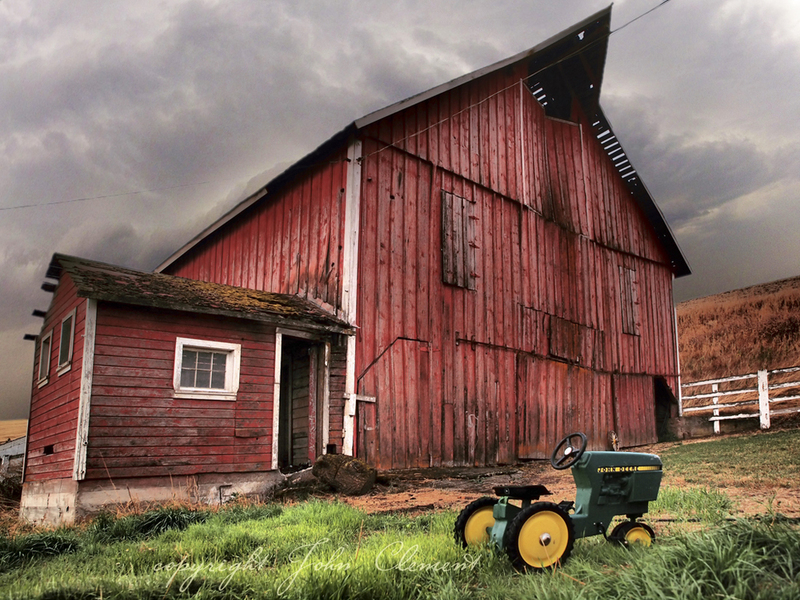 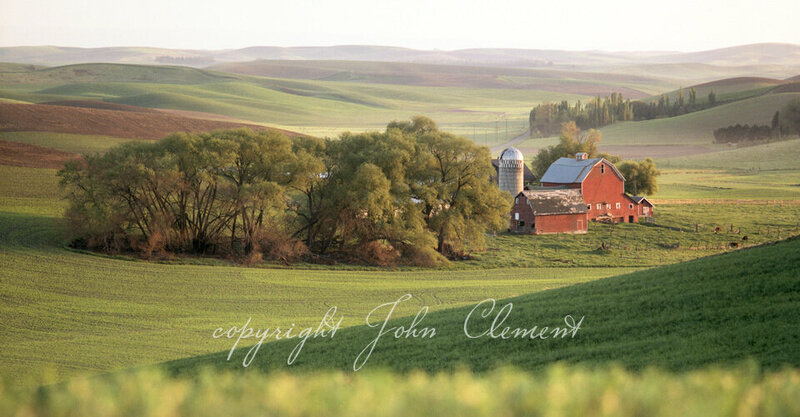 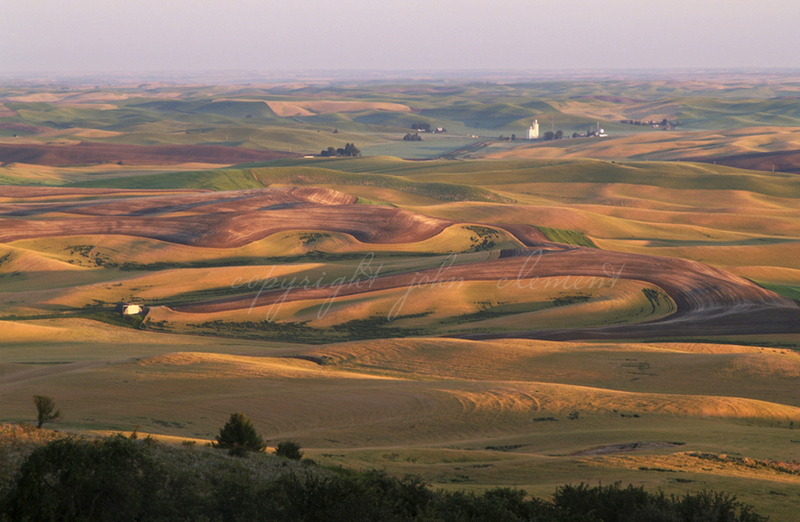 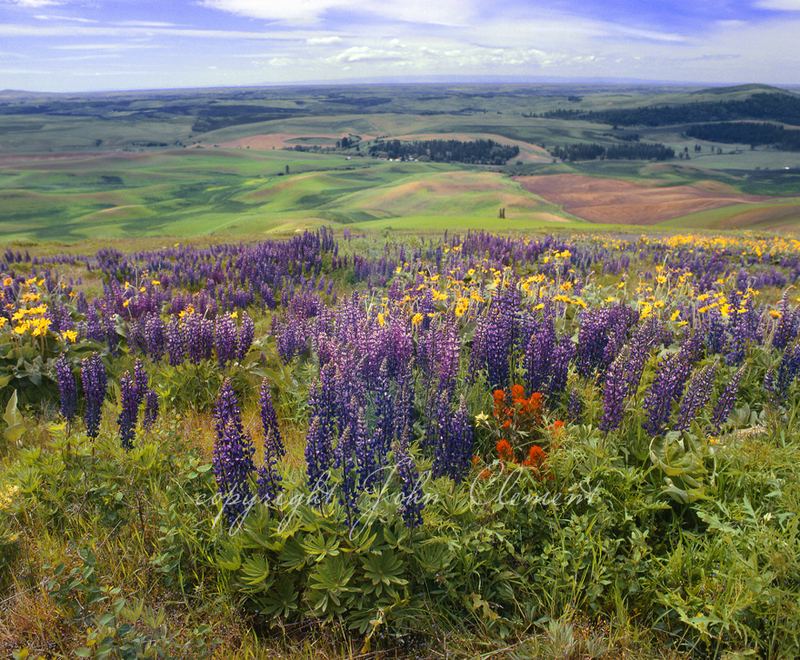 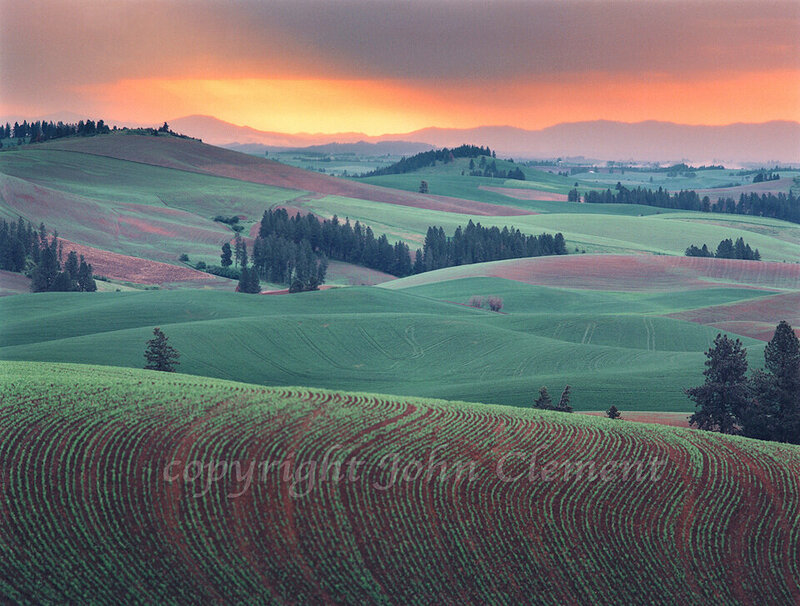 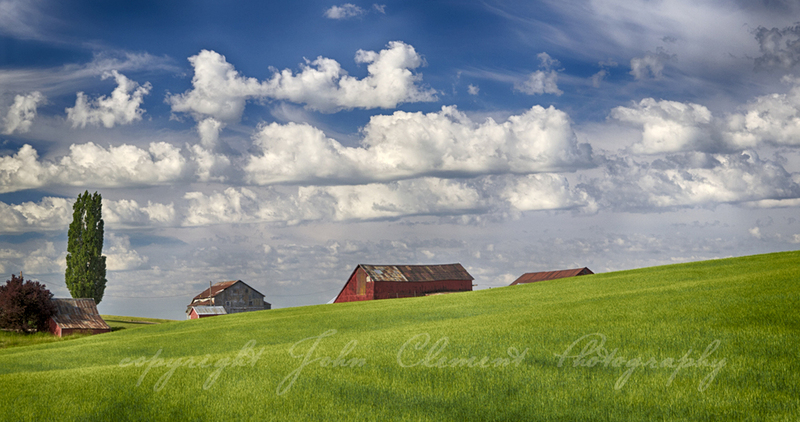 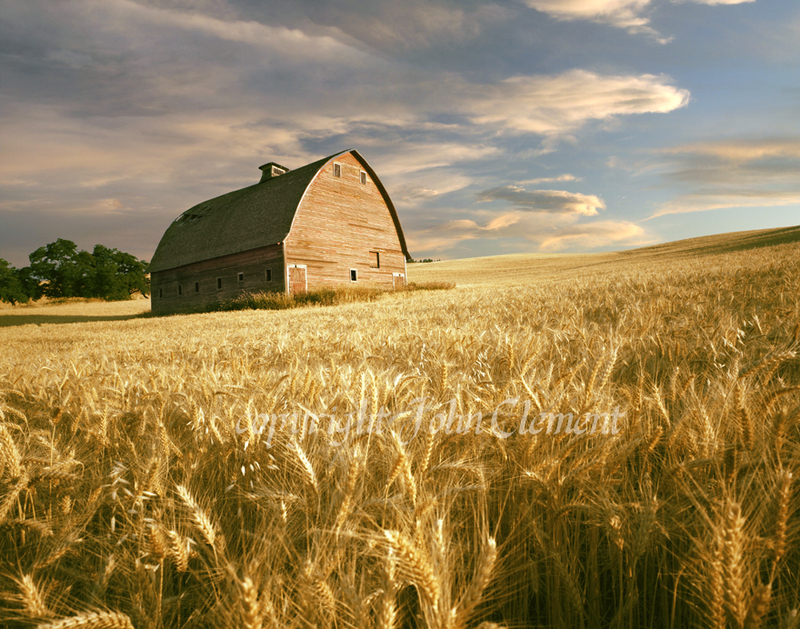 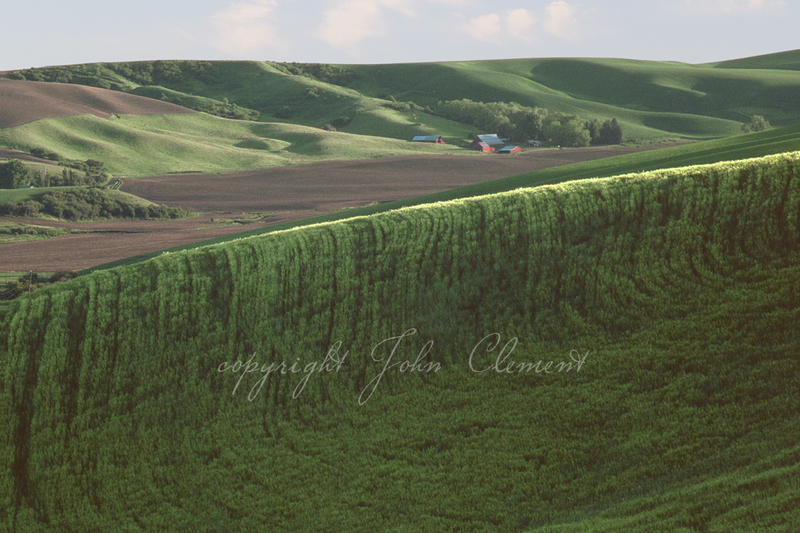 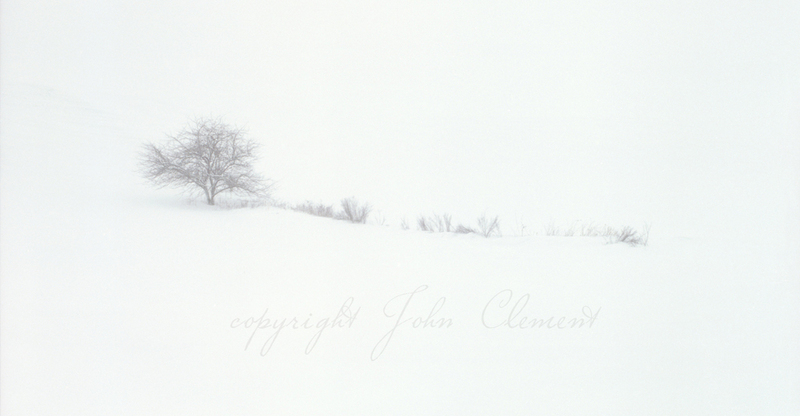 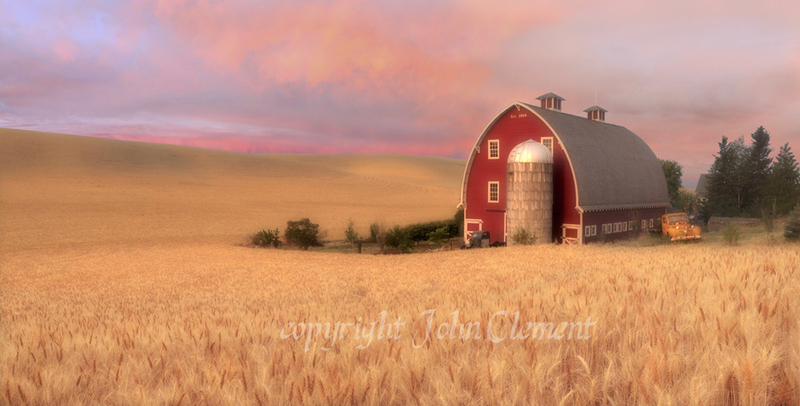 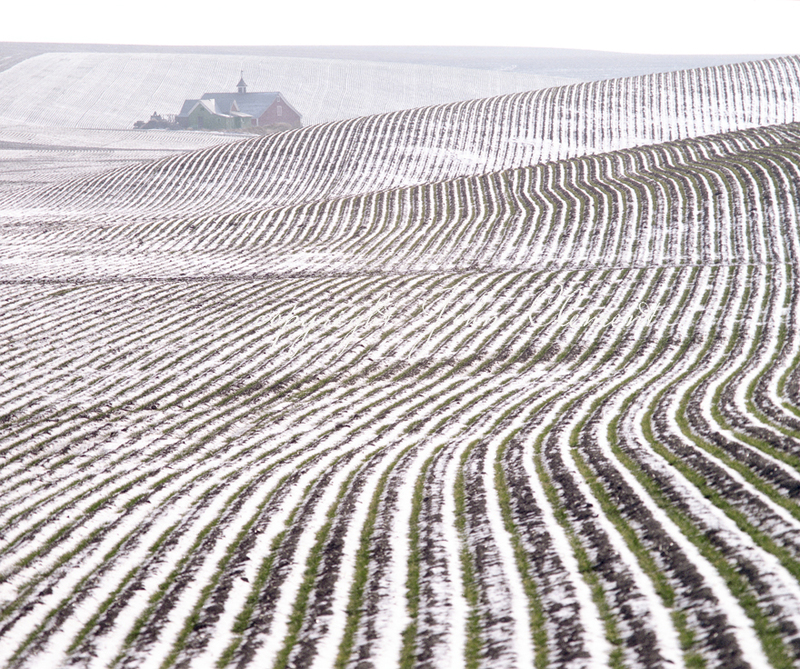 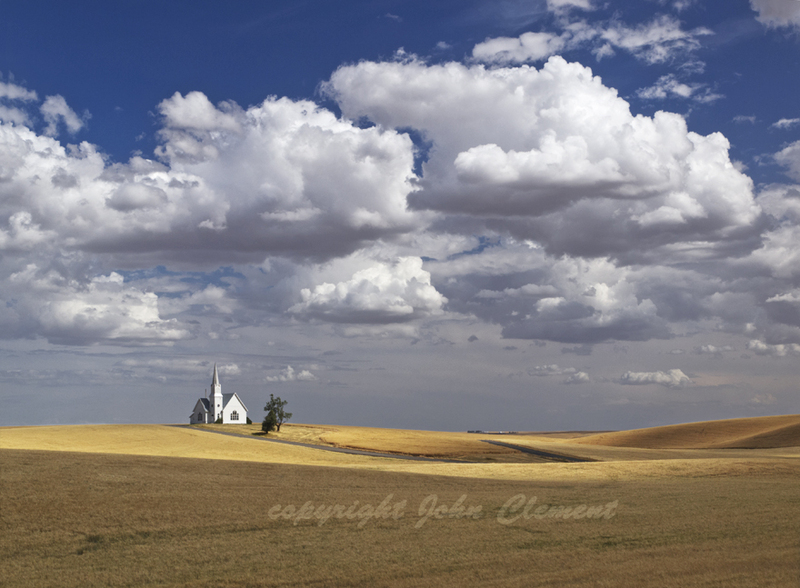 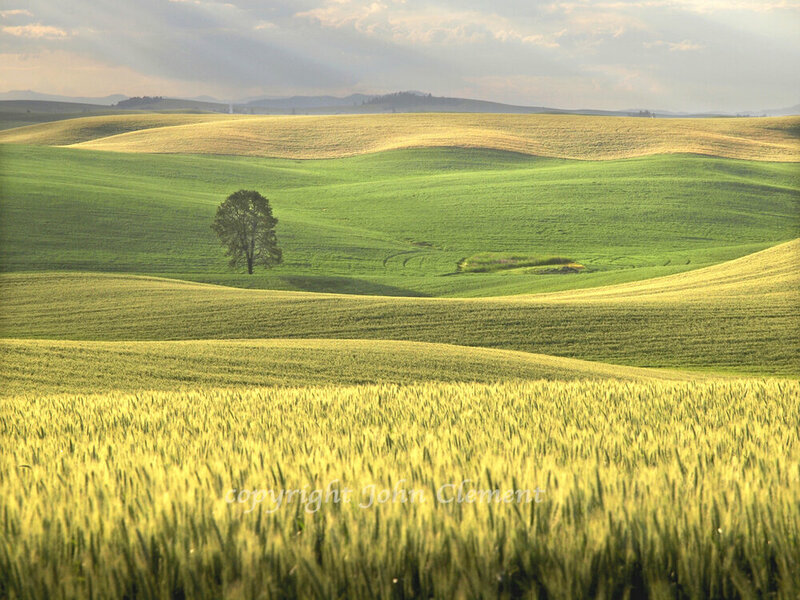 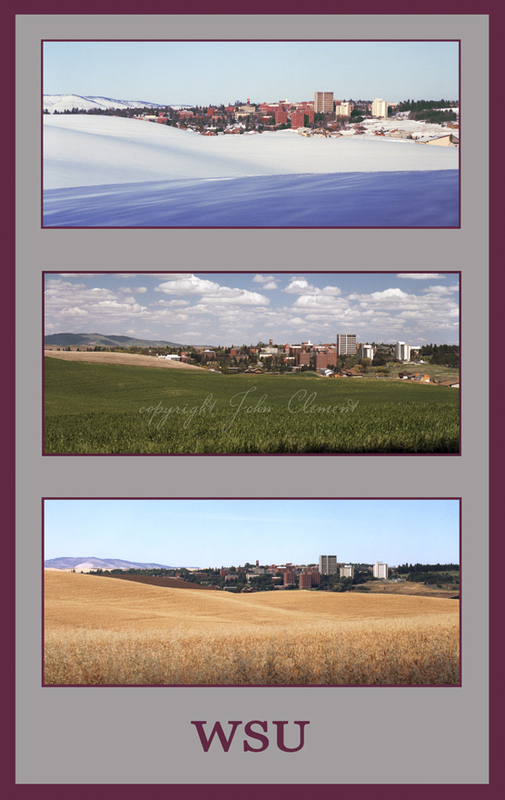 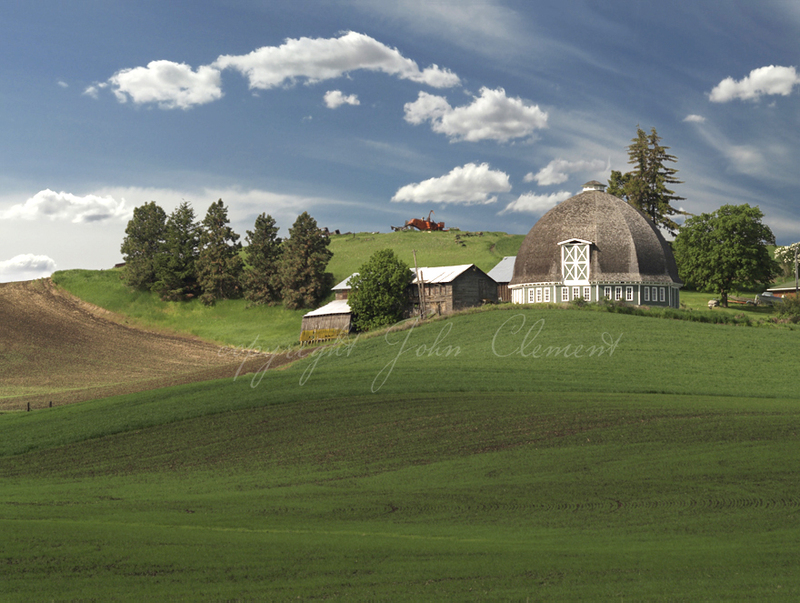 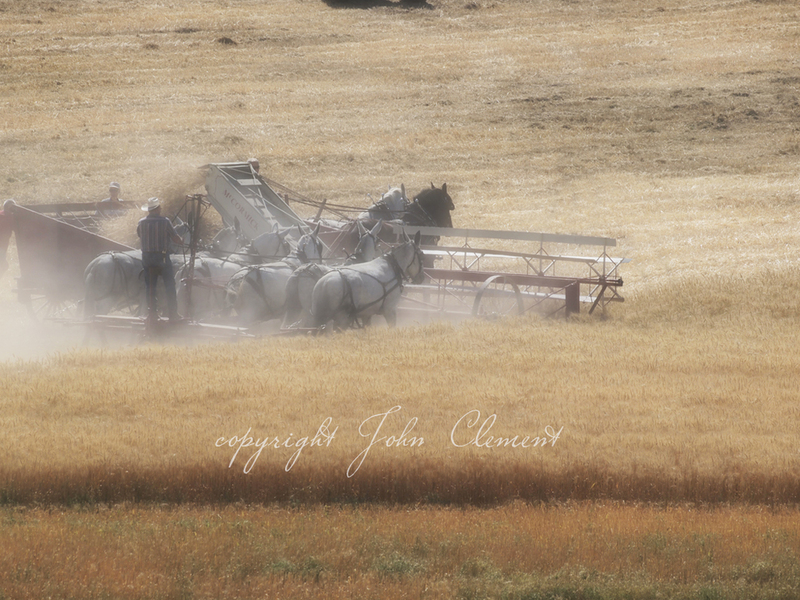 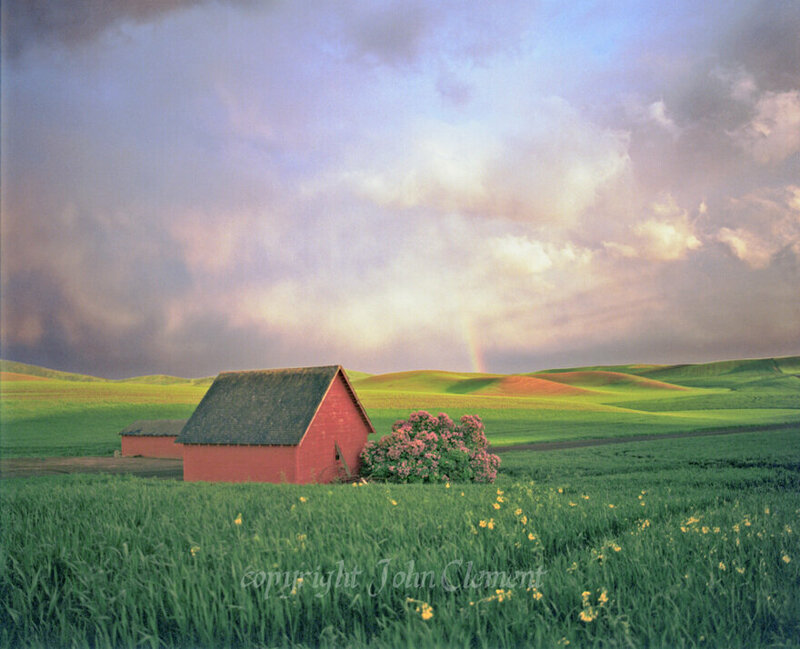 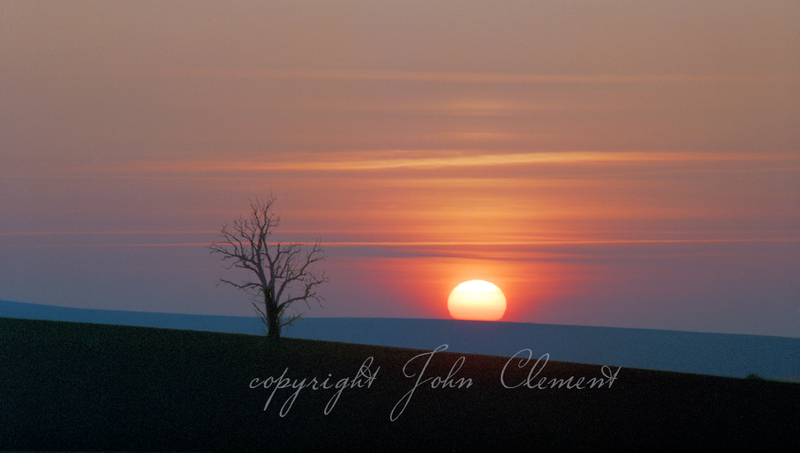 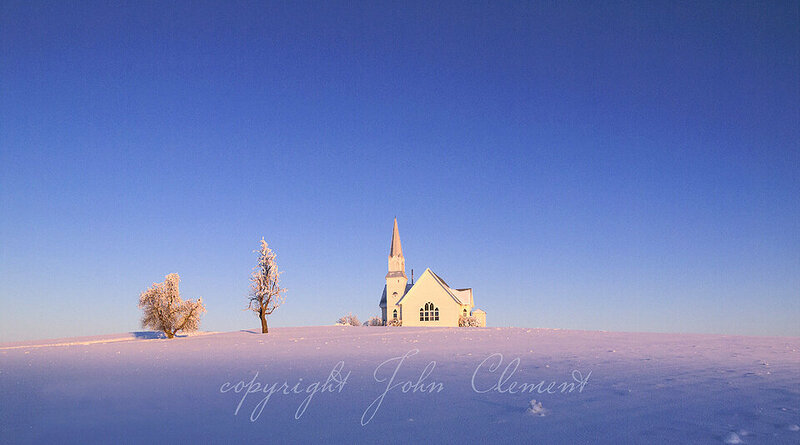 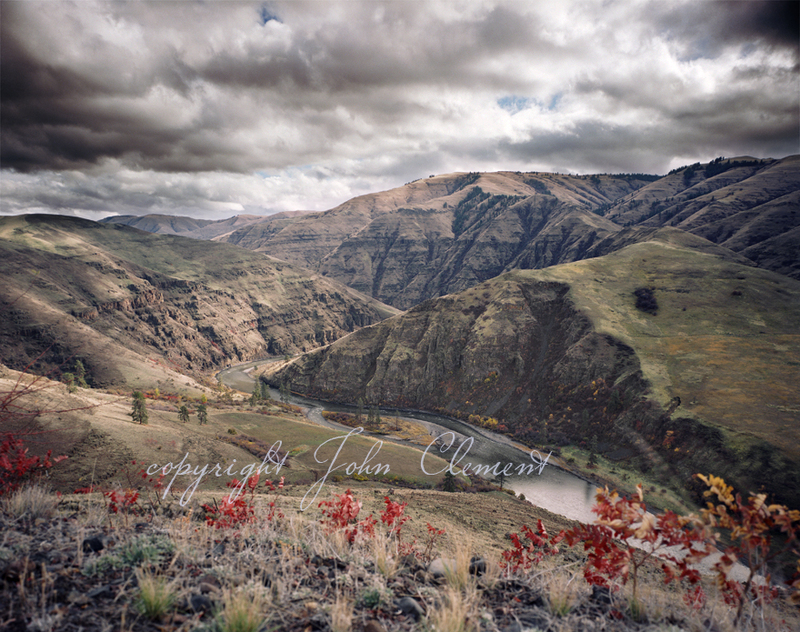 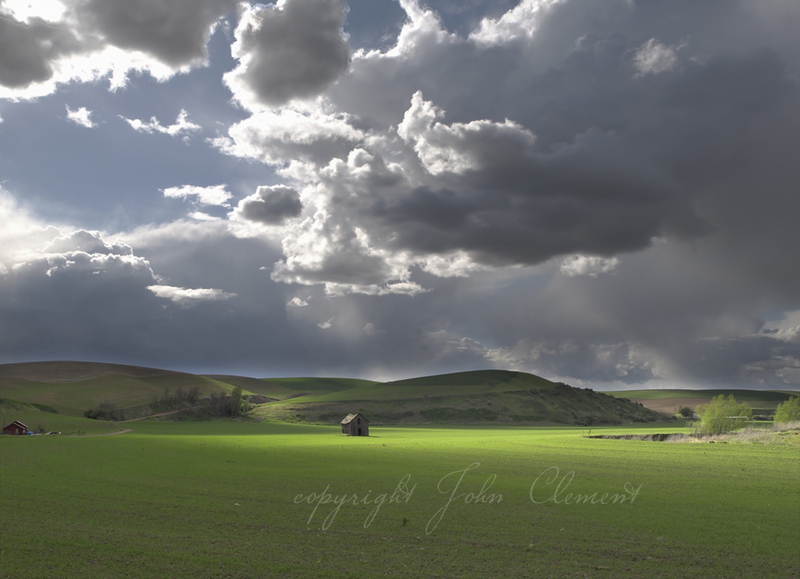 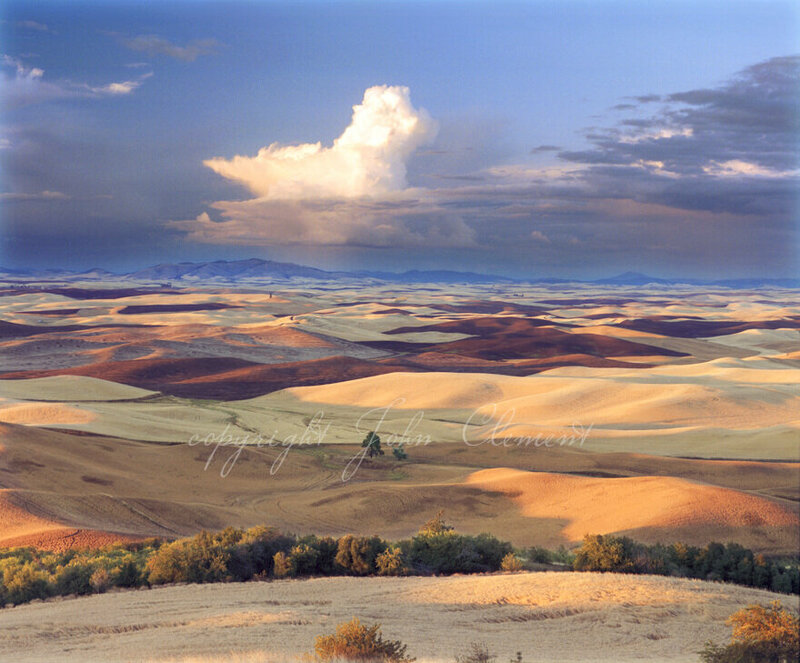 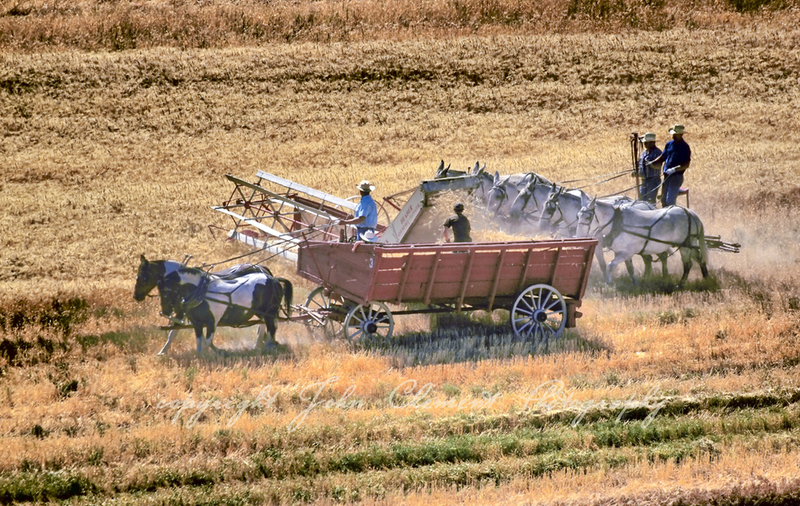 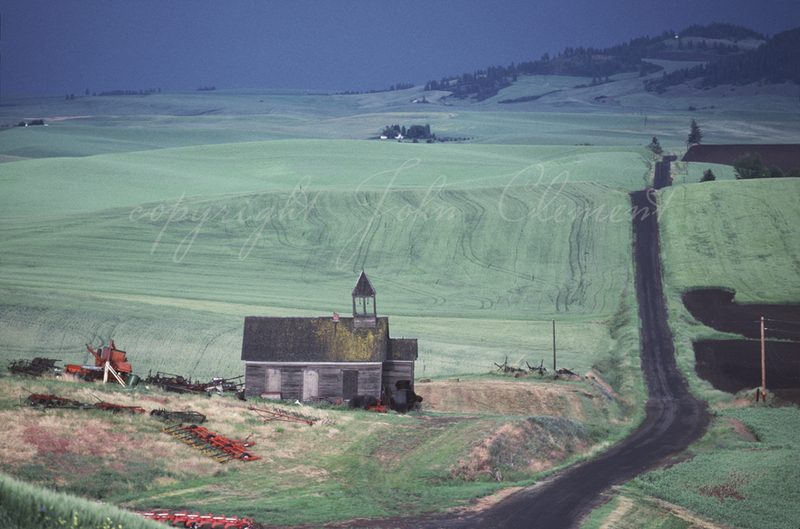 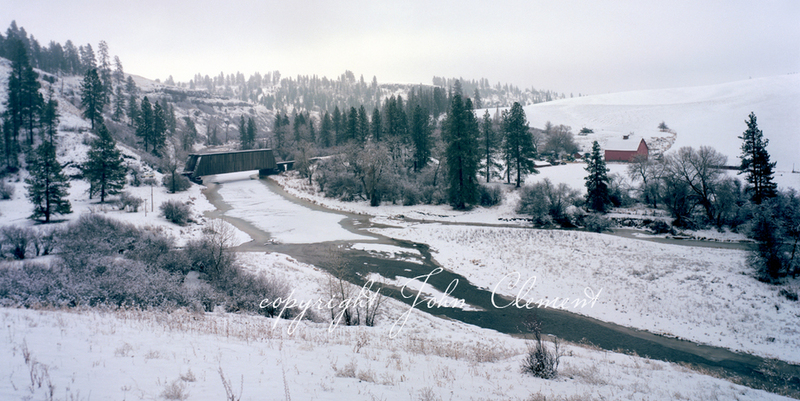 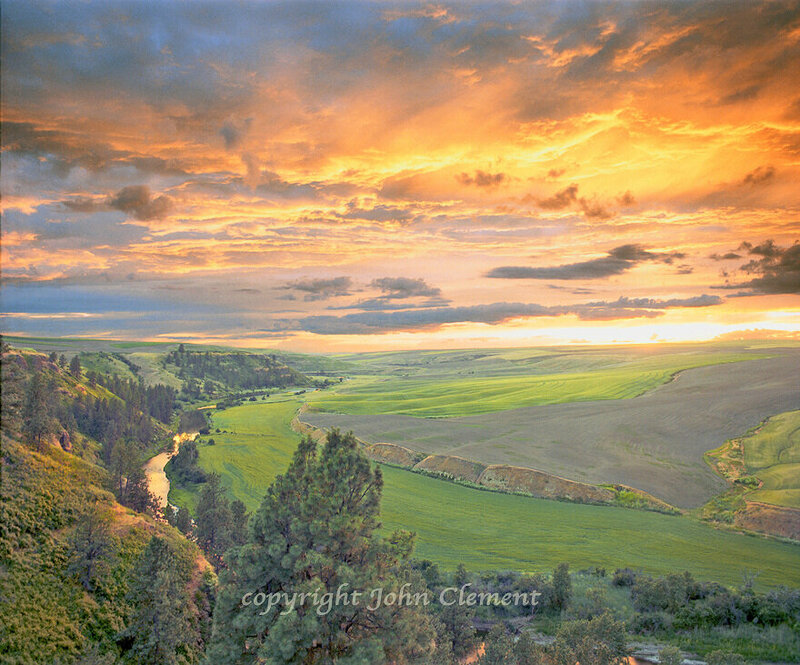 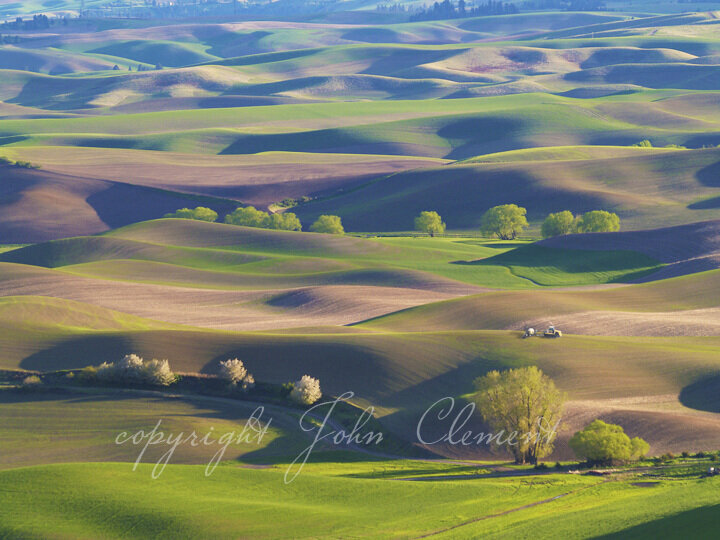 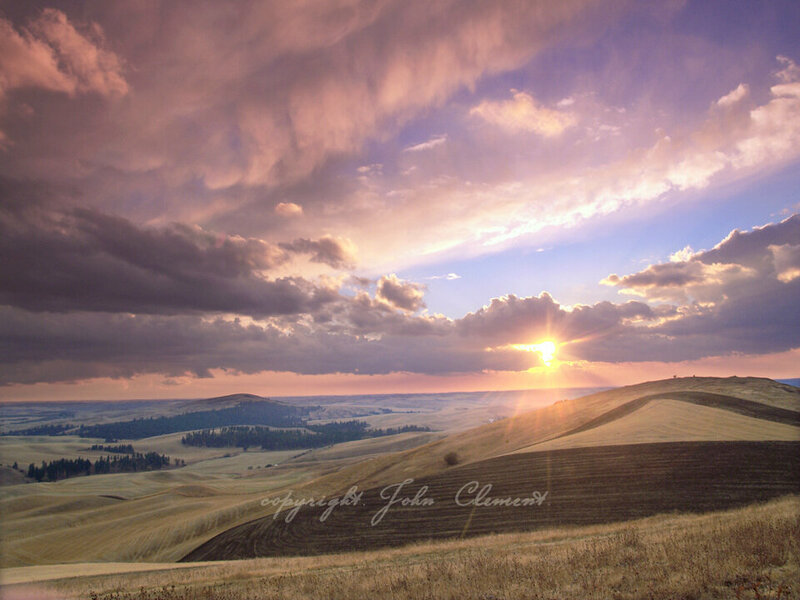 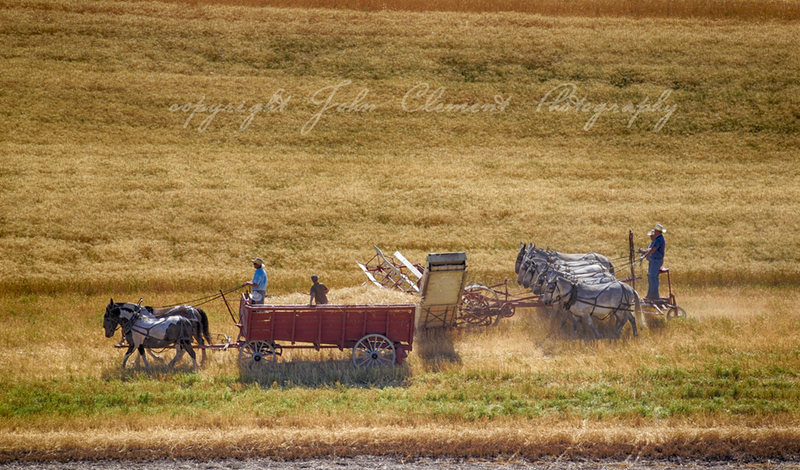 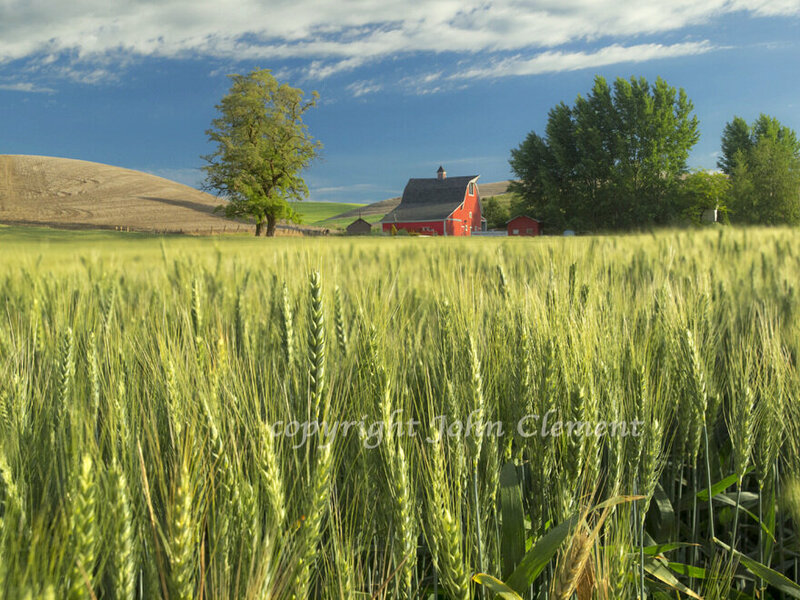 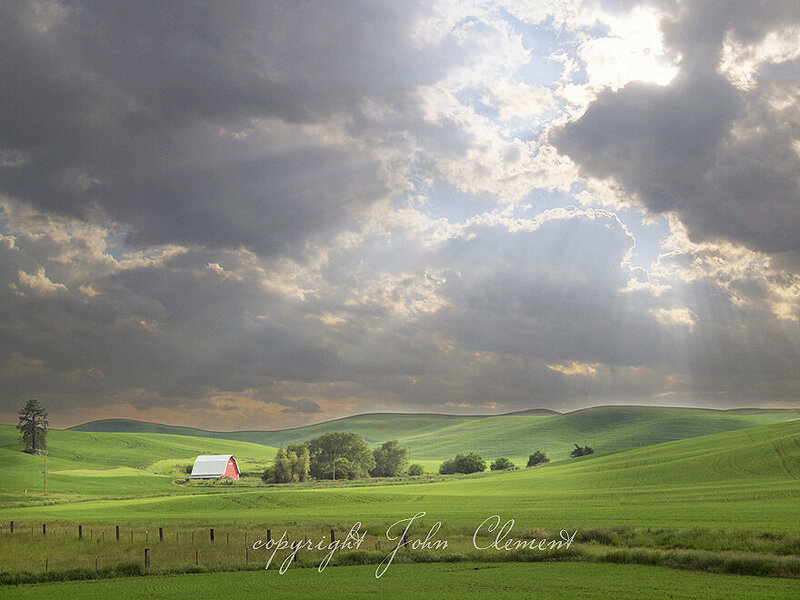 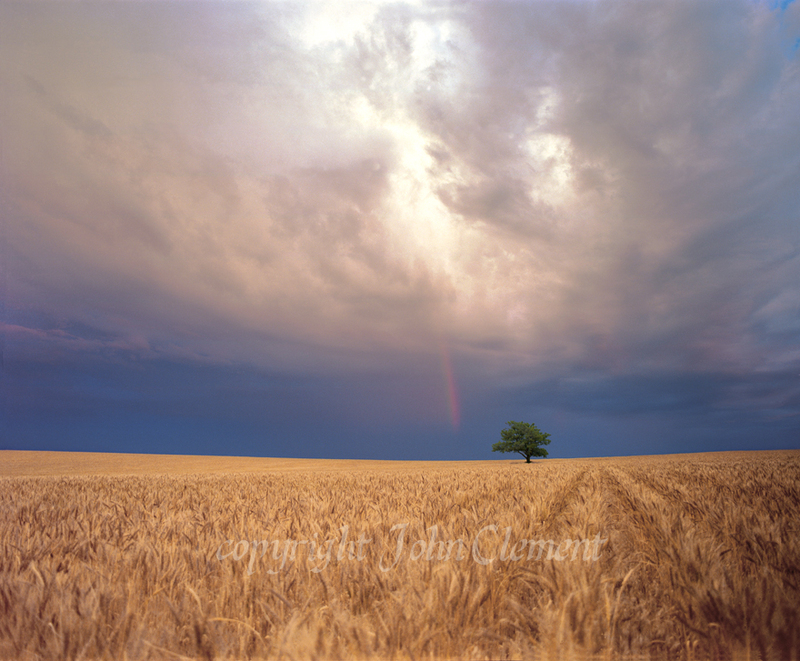 Palouse country is located in Eastern Washington and Western Idaho, and is the site where many of John's most popular images have been captured. 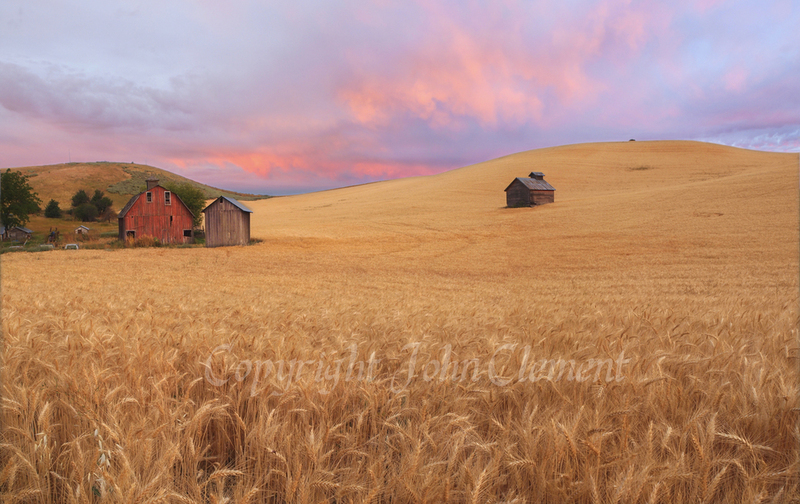 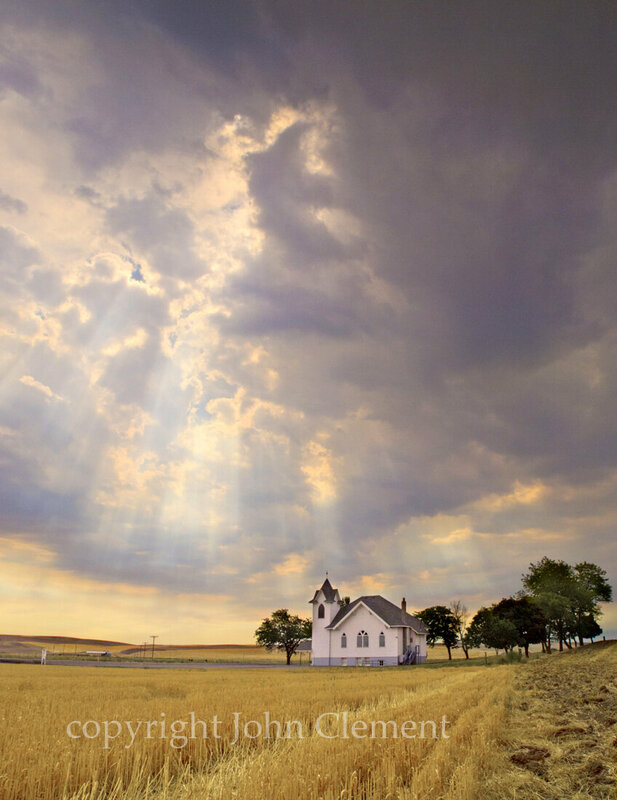 Predominantly farmland, the deceptively peaceful landscape can offer some of the wildest storm clouds and sunsets in the Pacific Northwest. 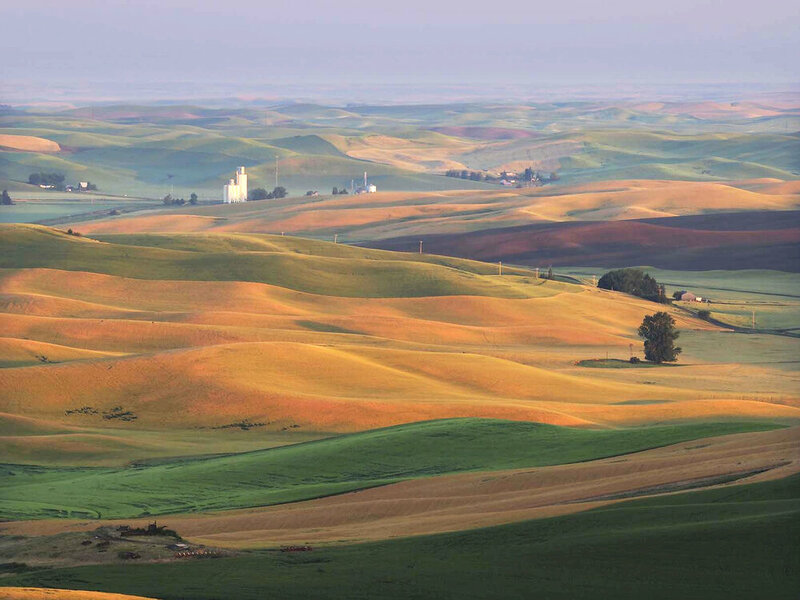 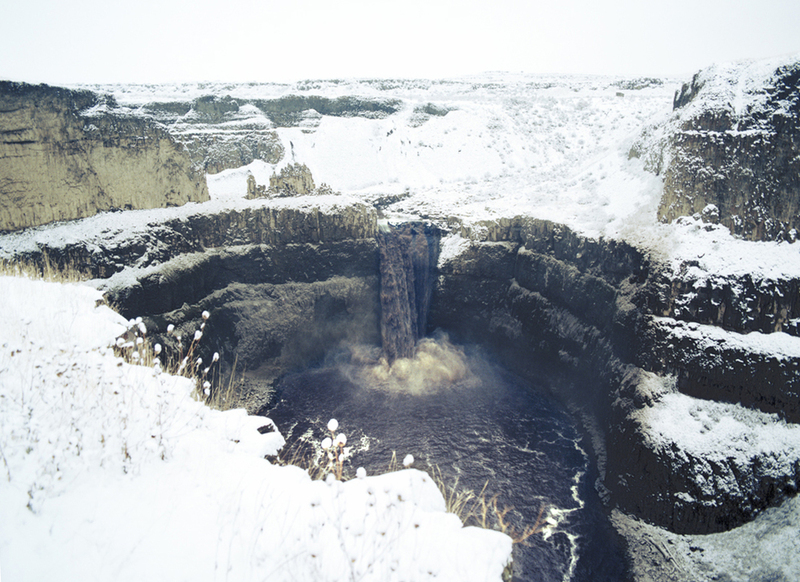 The Palouse was formed by windblown loess after the Ice Age Floods that deposited large amounts of soil in the Columbia Basin. 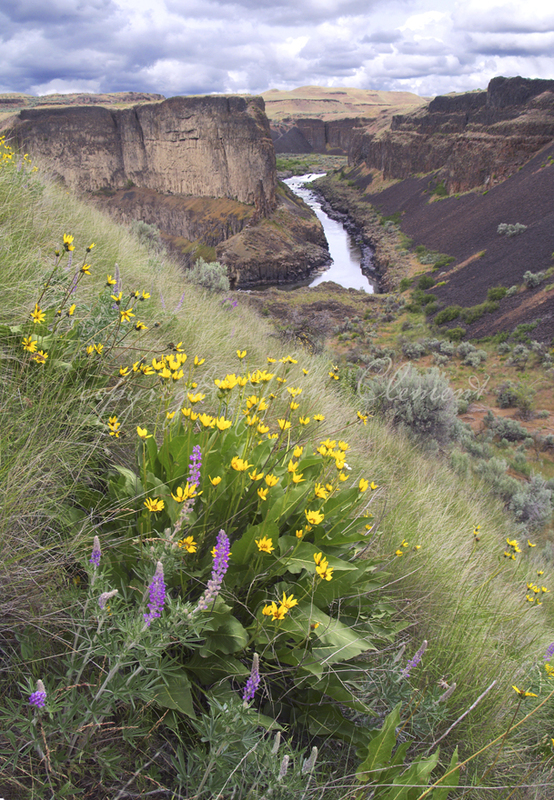 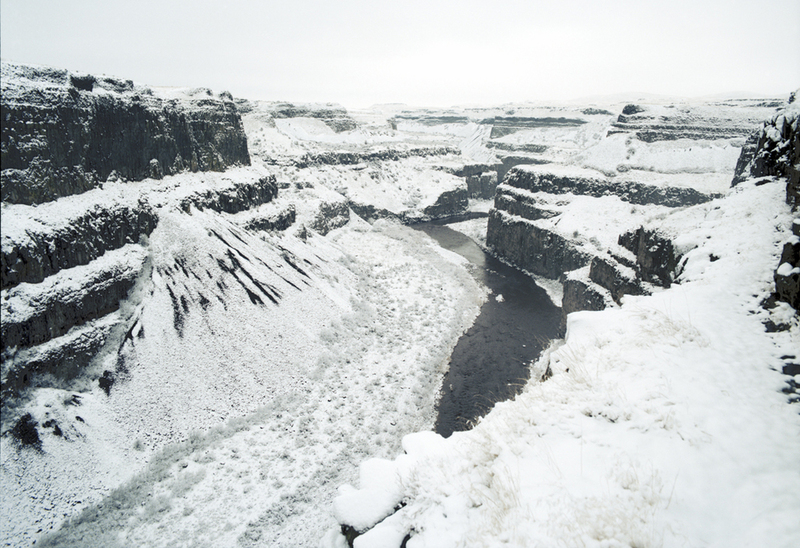 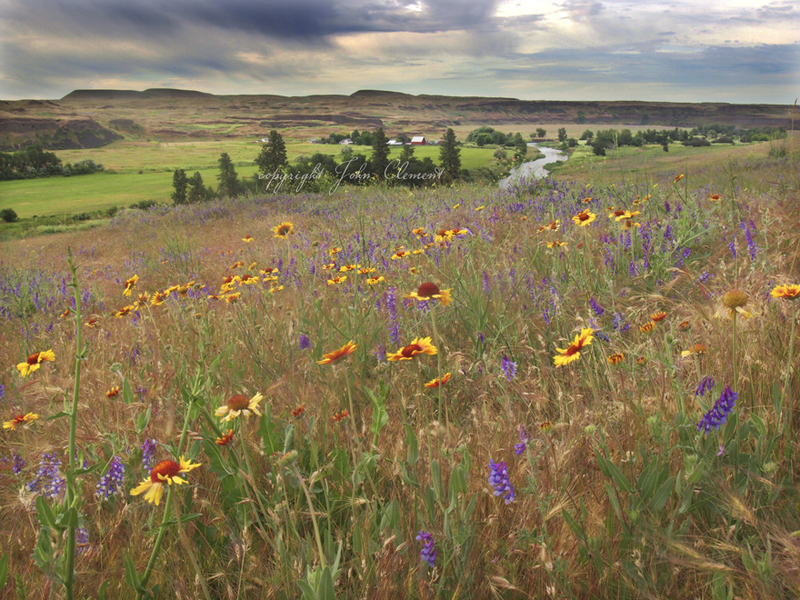 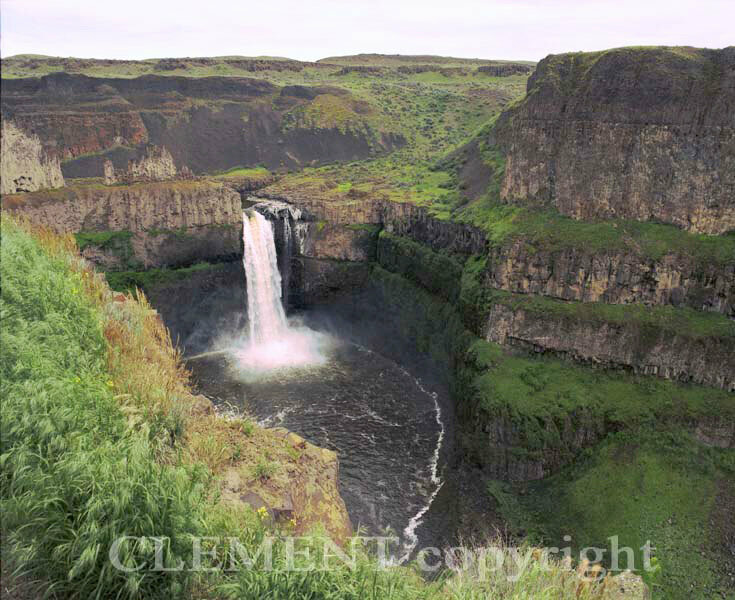 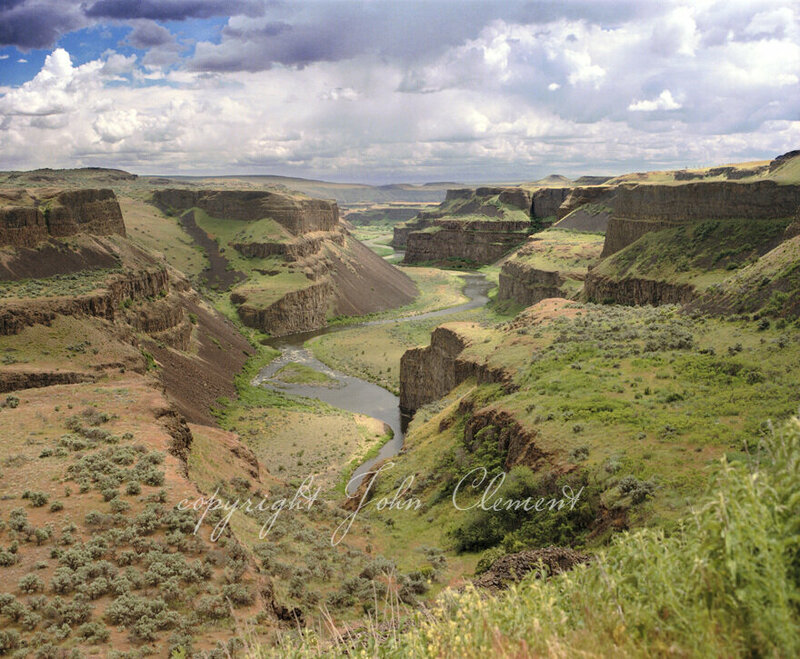 In direct contrast, the channeled Scablands are a barren and nearly soil-free area in Eastern Washington. 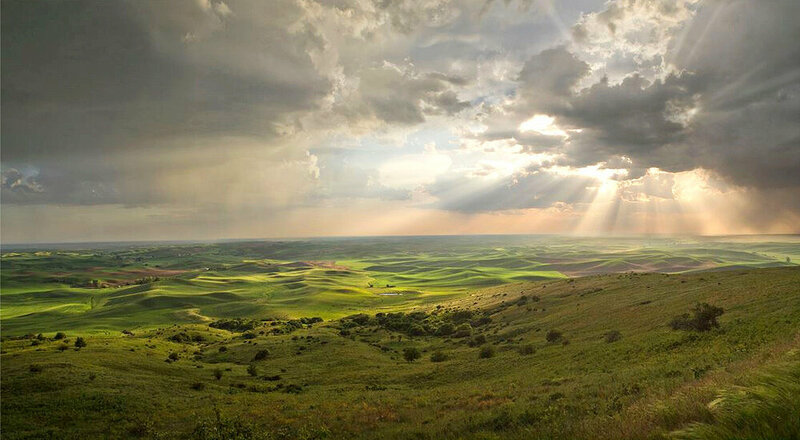 The desolation of this area offers dramatic lighting and landscapes.